A fox and a hedgehog were strolling through a country path. Periodically, they were threatened by hungry wolves.The fox — being blessed with smarts, speed and agility — would lead packs of wolves on a wild chase through the fields, up and down trees, and over hill and dale. Eventually the fox would return to the path, breathless but having lost the wolves, and continue walking. The hedgehog, being endowed with a coat of spikes, simply hunkered down on its haunches when menaced by the wolves and fended them off without moving. When they gave up, he would return to his stroll unperturbed. When you open this up and apply it to business as Jim Collin’s did you find that the story is really the tale of two types of thinkers and decision makers. There are the hedgehogs who are bullish and determined. They have their spikes(i.e. their skill and talent), and when the hard times come, they tough it out. Hedgehogs have one, yet powerful, response to threats. They know one big thing–and they use that to their advantage. Foxes on the other hand, have no single response to challenges. 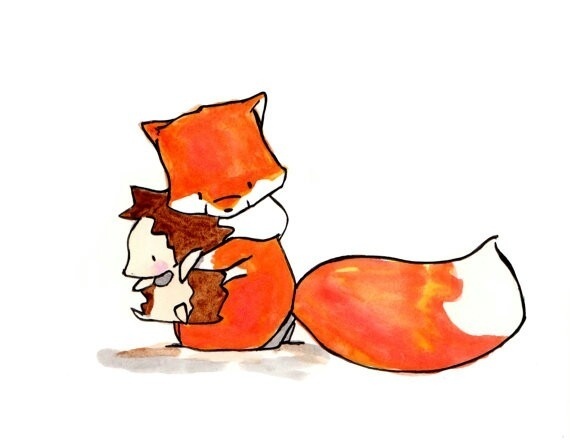 As an alternative to knowing that one big thing, foxes know many little things. Instead they often respond to challenges by drawing on a pattern of general, pragmatic understanding. 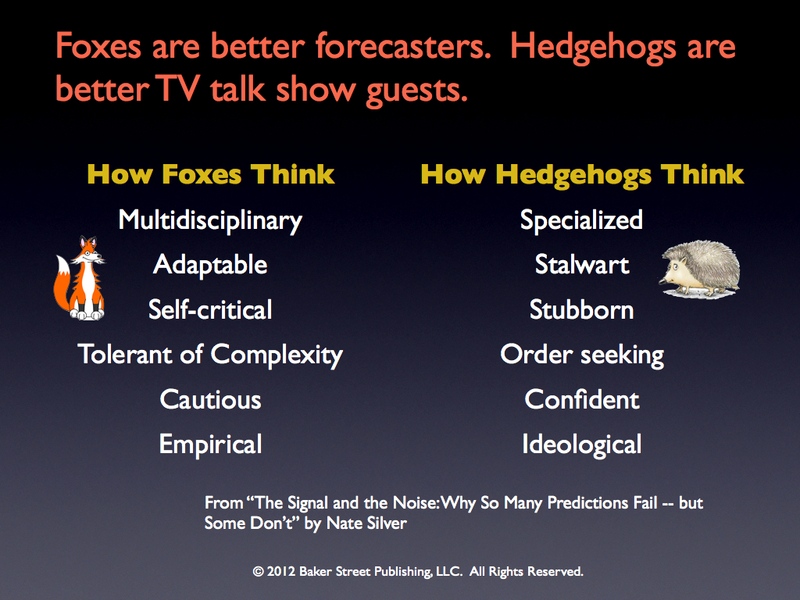 In career speak we would call the hedgehogs experts and the foxes generalists. 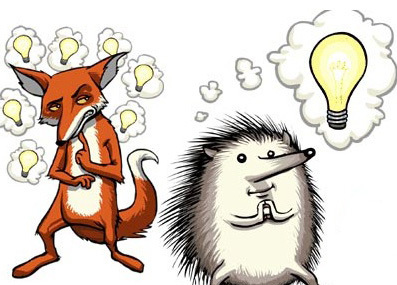 People with a hedgehog mentality like to work in a clear and determined environment. They make their decisions by looking at the data of past behaviors and analyzing it against risk. They know when to hold ‘em and know when to fold 'em. Foxes are a bit different. They are more prone to be suspicious of commitment to any one perspective, as they prefer to calibrate their responses as more input is received. Because of this, they are more likely to be correct when making forecasts for the future. They tend to take into account many sides of an argument, and are particularly keen when it involved variables that haven’t been analyzed before. We need to build a world that lets both versions thrive. So which one are you, a fox or a hedgehog?